You don’t have to have an education in medicine to understand the implications of cholesterol levels. This is a topic which has been drilled into us over the last few years, for the simple reason that it can cause life-or-death situations. Yes, it’s that important. Unfortunately, cholesterol is not one of those issues that you would define as simple. First of all, it’s split into two; good cholesterol, and bad cholesterol. The former, also known as low density lipoprotein, is the stuff we need to be as high as possible. This carries the nasty substance away from cells and out of the body. The bad cholesterol on the other hand is referred to as low-density lipoprotein. This is the substance which starts to clog up around our arteries, creating a whole host of serious health consequences. As you may have gathered, it’s the bad cholesterol that primarily gets the attention these days. This is the exact area we are going to concentrate on, as we investigate just why you need to keep levels of this substance down to an absolute minimum. What’s the big deal about having high levels of cholesterol? The big deal is as follows; high cholesterol levels can kill you. As we touched upon in the introduction, when large amounts of this substance start to build up around the arteries it can cause umpteen different problems. Most of these revolve around the circulatory system, with heart attacks and strokes being some of the most common conditions. However, that’s not to say that other types of health problems are excused, with blood clots also common. Cholesterol simply blocks the free flow of blood and again, one doesn’t have to hold a medical qualification to realize that this is not a recipe for a healthy individual. Who is affected by high cholesterol levels? One of the scariest parts of this is that absolutely any one of you could be at risk of high levels of cholesterol. The general consensus is that this is a problem which solely affects those people who are overweight, but this couldn’t be further away from the truth. Anyone who consumes a lot of saturated fats is at risk, meaning that even if you were a size zero model your diet could mean that you have the same cholesterol levels as someone who is three times the weight of you. Is it possible to manage cholesterol levels? The good thing about cholesterol is that it isn’t necessarily a hereditary problem. In other words, anyone can manipulate their levels of the substance. As you’ve probably realized from the previous section, this mainly focusses on your diet and if you can start to eliminate saturated fats, you’ll be well on your way to slashing your levels of cholesterol. There are more “synthetic” ways to treat the problem though. For example, in those cases where a person has dangerously high levels of cholesterol, doctors will usually prescribe them medication going by the name of statins. These are drugs which can lower levels of the substance exceptionally quickly and subsequently, start to eliminate all of the health problems that might have been around the corner. Why doesn’t everyone take statins then? Unfortunately, statins might do a fantastic job of lowering cholesterol, but at the same time they are supplemented by some awful side effects. Muscle pain, an increased risk of diabetes, liver damage and regular nosebleeds are all common – so it goes without saying that a lot of people, doctors included, are reluctant to utilize this method of treatment. Up until recently, we would have had to say a resounding no. Fortunately, the industry is developing. We’re now seeing a surge in natural-based supplements, which aim to mimic the effects of your traditional statin but without all of the nasty side effects that we have just documented. They are generally formed by plant-based ingredients and while this may sound a little along the lines of “too good to be true”, many are backed by concrete medical backing. In fact, we’ll now take a look at one of the market leaders to highlight just how these supplements work. Lowerol is one of the most renowned in the business and to understand exactly how you can take advantage of natural-based statins, it’s time to read on. Lowerol is one of the first of its kind to promote lower cholesterol levels, without wholesale alterations to your diet or nasty side effects. Here’s the lowdown on what we know about the product so far. Lowerol is comprised purely of natural ingredients, which automatically means that the statin-associated side effects are a thing of the past. Despite this, the results speak for themselves. Studies have shown that the mixture of ingredients can make cholesterol levels plummet by 15%, which can negate the need for many people to turn to dangerous statins. Lowerol can act in record speeds as well, with further studies showing that it can slash these cholesterol levels in just one month. There’s no complicated method of consumption here, Lowerol arrives in capsule format. The capsules are made from 100% animal-free components (perfect for vegetarians), while you’ll need a maximum of three per day to experience optimum cholesterol-lowering results. The product has been brought to us by one of the biggest names in the business; Napiers. They’ve been around since 1860, for the sole reason that every product they release basks in the market and is completely successful. How likely is it to lower your cholesterol levels? ‎Unsurprisingly, any product which makes lowering your cholesterol levels easier is going to be viewed cautiously by some quarters. However, the fact that Napiers are behind Lowerol immediately provides us with immense trust in the product; after all, this is a brand who are arguably one of the most successful ones to have ever donned the supplements industry. There’s also the scientific backing though. As we’re about to find out, Lowerol is comprised by ingredients which have been heavily backed by science. In other words, there are no “ifs” and “maybes” here – every component in the product has been clinically proven to lower cholesterol. Finally, we’ll give a mention to some people who have already tasted success with Lowerol. Some of these patients turned to Lowerol as they were petrified after being told they were about to be prescribed powerful statins. Now, doctors have informed them that due to the improvements that Lowerol has prompted, statins are no longer required. 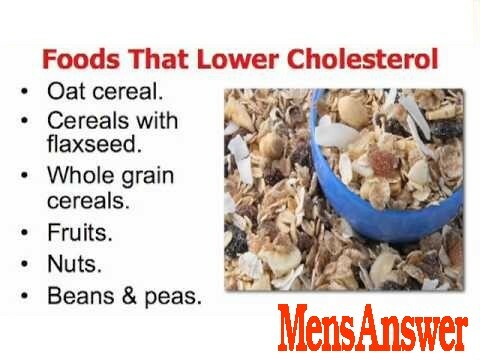 How does it lower your cholesterol levels? Red Yeast Rice: There’s a reason why this is the first ingredient mentioned – it’s the backbone of Lowerol. Numerous studies have shown that the high levels of Monacolin K in red yeast rice make it one of the most efficient natural-statins around. In fact, one study showed that it lowered cholesterol by a mammoth 20%. Policosanol: The statistics regarding Policosanol are even more astonishing, with one study showing that it reduced cholesterol by just 24% in a two month period. It does this by increasing the body’s ability to break down bad cholesterol. Grape Seed Extract: Grape seed extract has been included to strengthen your arteries, which can make it much harder for cholesterol to build up. Ultimately, this lowers the risk of any of the nasty high cholesterol-conditions occurring. Even though it eradicates all of the side effects that we have come to associate with statins, Lowerol actually retails for a very low price. It costs just $61.21 for a one month supply, while further discounts are available if you buy in bulk. For example, you’ll save over $15 if you purchase the two month supply, which costs $107.18 in total. With more and more saturated fats hitting the supermarket shelves (and fast food chains, we should probably add), high cholesterol problems are becoming quite mainstream. As we deciphered at the start of this article, this immediately means that heart attacks, strokes and a whole host of other potentially fatal conditions are more likely across the general population. For years doctors have “managed” the problem through statins, but a lot of people were put off by such an approach due to all of the‎ side effects these drugs promoted. Now, with natural alternatives available, managing cholesterol levels could be a whole lot safer and easier than we’ve ever seen before. Station Body, Fuel Your Body (tm). The ultimate authority on everything bodybuilding & body image.